Summary BIG HERO 6 is an animated adventure about a young science genius who uses his friendship with a special robot to hunt down the man responsible for causing a devastating fire that threatened the city. 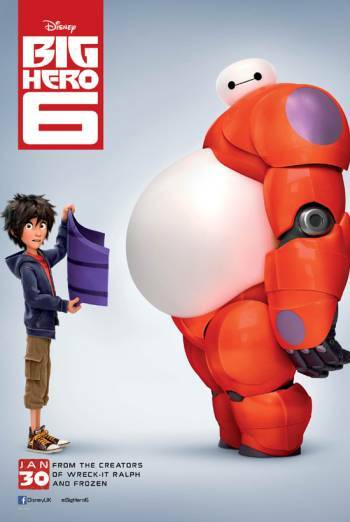 BIG HERO 6 is an animated adventure about a young science genius who uses his friendship with a special robot to hunt down the man responsible for causing a devastating fire that threatened the city. There are a lot of prolonged fight sequences between various robotic entities and between the heroes and the main villain. Nobody ever gets hurt in these fights, but there is a lot of destruction wrought and the scenes are very noisy. Some of the images of the villain, as he summons up his huge army of microbots, are a little scary. The film also contains a narrative thread dealing with bereavement which is shown to be the principal motivating factor for the main character.